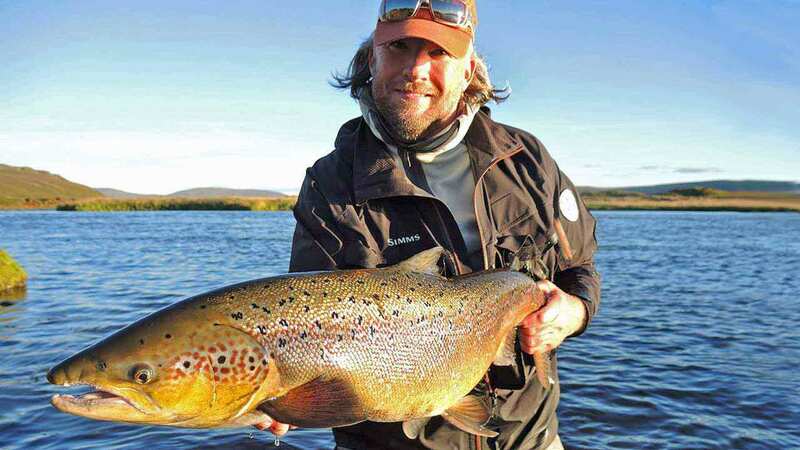 Big Laxá is a world-class brown trout and Atlantic salmon river. (Laxá means Salmon in Icelandic.) Located in Aðaldalur in northern Iceland, the river is 300 miles from Reykjavik, the capital. 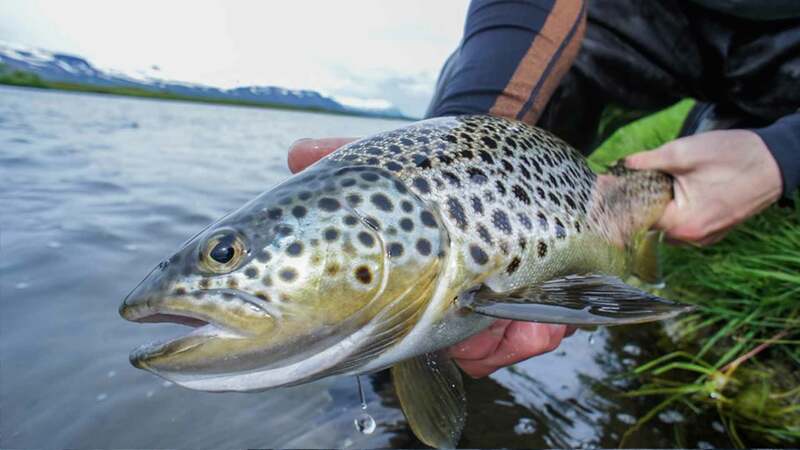 The Big Laxá is a fertile home to a huge stock of brown trout averaging 3-to 4-pounds, and weighing up to 13-pounds. Some 6-to 8-pounders are landed each season. The river is also well known for its huge Atlantic salmon, weighing up to 30-pounds. During this four-day fly fishing trip at Big Laxá River, you’ll rotate between two beats holding big browns and Atlantic salmon. All packages are wade-fishing only. All fishing is catch-and-release. You may only use barbless hooks. Syðra-Fjall, a one-mile long beat is a ten-minute drive via 4x4 vehicle from the Lodge. The Syðra-Fjall season is June 10 - September 10 and is limited to two rods. 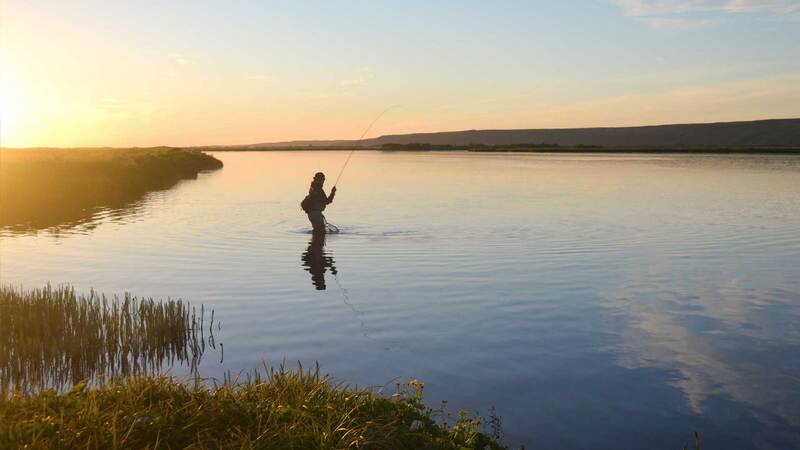 Syðra-Fjall includes the mouth of the Eyvindarlækur River and offers some of the world’s best dry-fly fishing. The beat has two small islands, and good salmon fishing action occurs between the two, and at the mouth of Eyvindarlækur. While 2-to 3-pound trout are common, it’s not uncommon to land trout reaching 4-to 6-pounds. Dry fly fishing and upstream nymphing are the most successful methods, but streamers and wet flies can also be effective. The Árbót, a 2.2 mile-long beat, is a ten-minute walk down the hill from the Lodge. The Árbót is an excellent option for those looking for bigger brown trout and huge salmon weighing up to 30-pounds. Before June 19th, the beat is limited to three rods; and then from June 20th through September, the beat is limited to two rods. Best Dry Fly Stream "Big Laxá" YouTube video. Season: May through September. Peak brown trout fishing is May through June, and peak Atlantic salmon fishing is late July through September. Guides: Knowledgeable, English-speaking guides. Two anglers per guide. At the Big Laxá, you have the choice of a guided or non-guided package. Equipment: No equipment or flies are supplied. All flies should be new or unused as Iceland has a strict policy that requires anglers to sterilize their tackle before visiting the country. Fishing License: is included in the package. Salmon fishing days at Big Laxá typically start at 7:00 a.m. and end at 10:00 p.m., with a lunch break in between at the Lodge from 1:00 to 4:00 p.m. 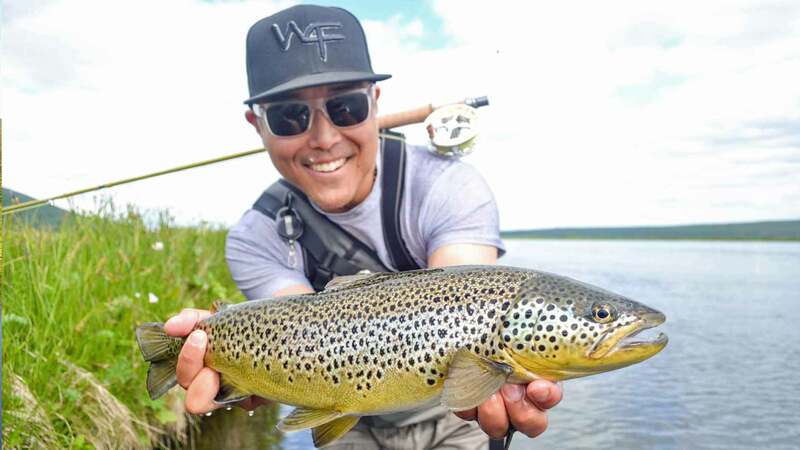 When you're targeting trout, fishing times are more flexible. 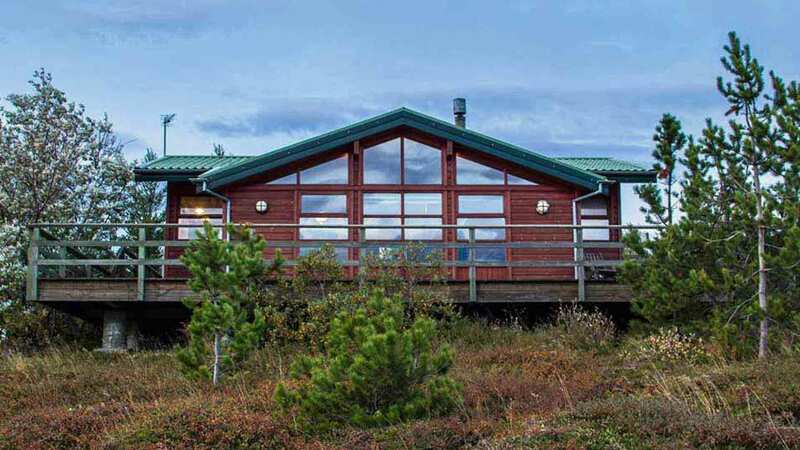 For this fishing adventure, you'll stay four nights at Vörðuholt Lodge. 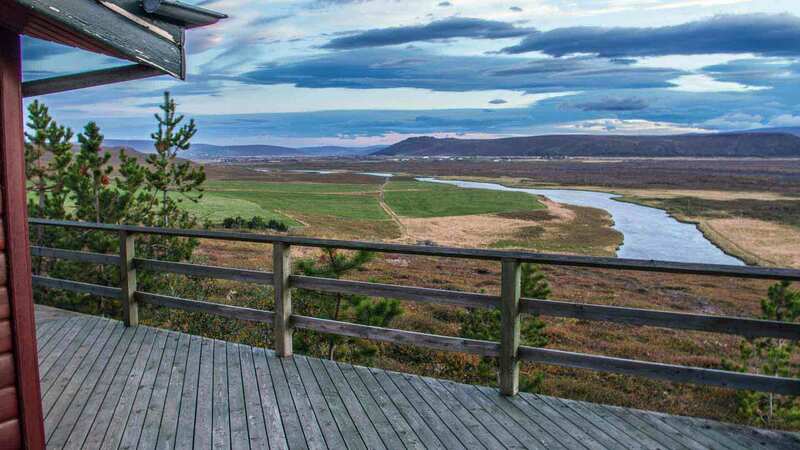 The comfortable full-service lodge sits on the hillside overlooking the Big Laxá River, snow-capped mountains, and the beautiful Aðaldalur valley. The Lodge has three bedrooms with twin beds, a kitchen, living and dining room, a deck and a hot tub. 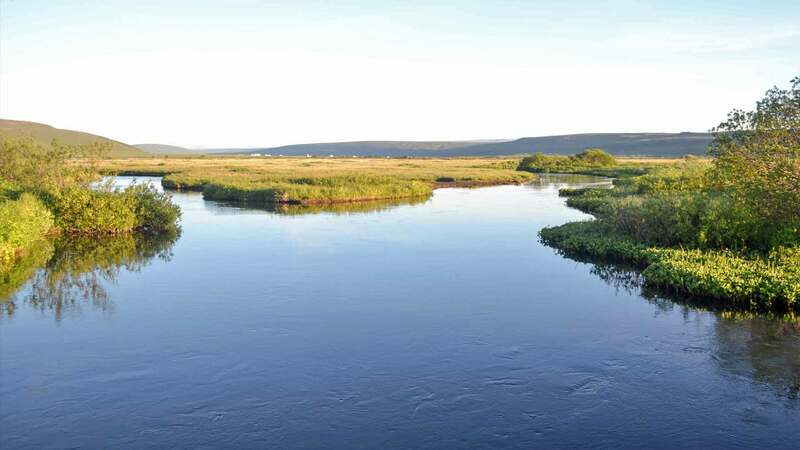 Non-angler activities: Whale watching, visiting the Dettifoss Waterfall or Lake Mývatn, horseback riding, and river rafting. You’ll fly to the Keflavik Airport. The airport is two miles west of Keflavík and 31 miles southwest of Reykjavík. The rates do not include the charter flight from Reykjavík to Big Laxá. Add ISK 56,000 (approx. USD $525.00 - subject to change). About USD $3,779.00 the exchange rate as of September 2018. 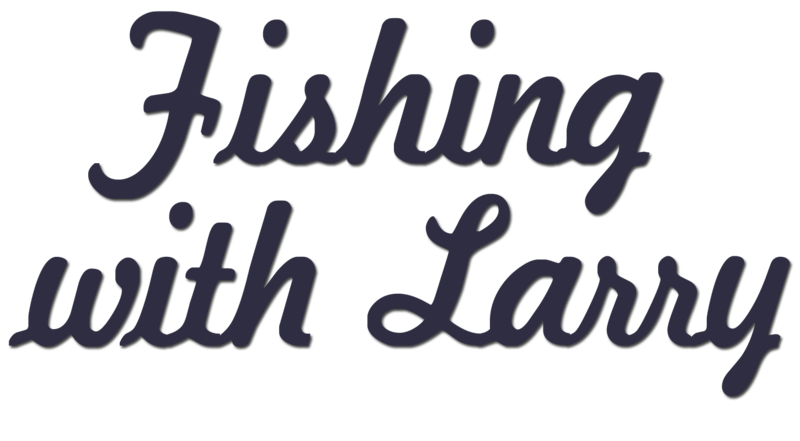 If an angler wants a USD rate quote, the outfitter will provide it to us at the time of inquiry and guarantee the quote for two months. 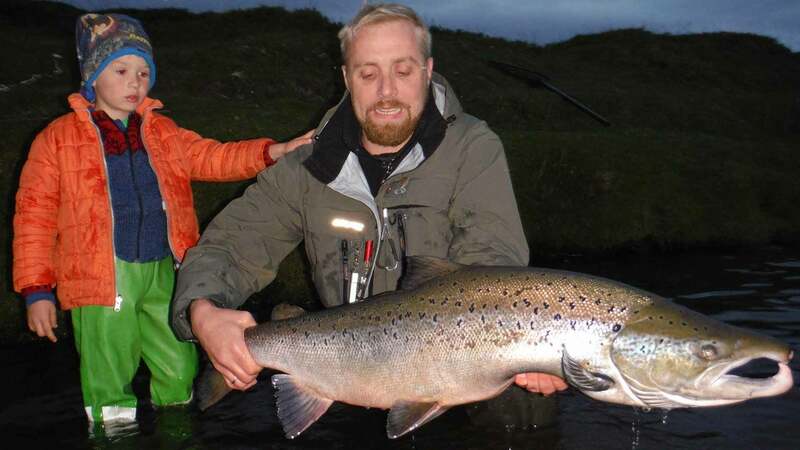 Ground transfers to and from daily fishing beats, fully guided fishing in Big Laxá, fishing license, and all meals and accommodations at Vörðuholt Lodge. Airfare to Reykjavík, roundtrip charter flight between Reykjavík and Big Laxá (ISK 56,000 or approx. USD $525.00 per person (as of 09/20/2018), fishing equipment (rod, waders, and flies), alcoholic beverages, gratuities, and anything not mentioned under inclusions. Day 1: You’ll fly to Akureyri or Húsavík. Húsavík is closer but doesn’t have daily flights available. You’ll arrive at Vörðuholt Lodge. 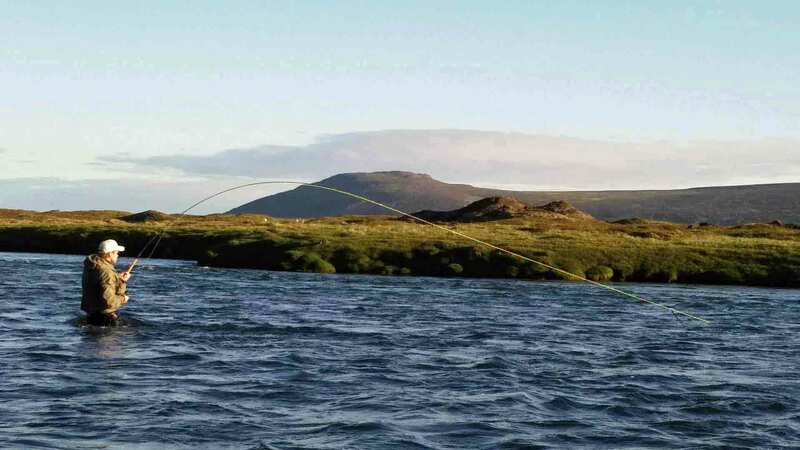 You’ll fish with your guide from 4:00 to 10:00 p.m. Two rods/anglers fish the Árbót beat and two fish the Syðra-Fjall beat. Day 2-4: You’ll fish from 7:00 a.m. to 1:00 p.m. and again from 4:00 p.m. to 10:00 p.m. Two rods fish Árbót beat and two in the Syðra-Fjall beat. Day 5: You’ll fish from 7:00 a.m. to 1:00 p.m. Two rods fish the Árbót beat and two fish the Syðra-Fjall beat. You’ll check out of Vörðuholt Lodge at 2:00 p.m. This 2.2 mile-long beat has many beautiful pools sporting both trout and salmon. The season runs from May 1 to September 20. Peak season for trout is from mid-May until the end of June. 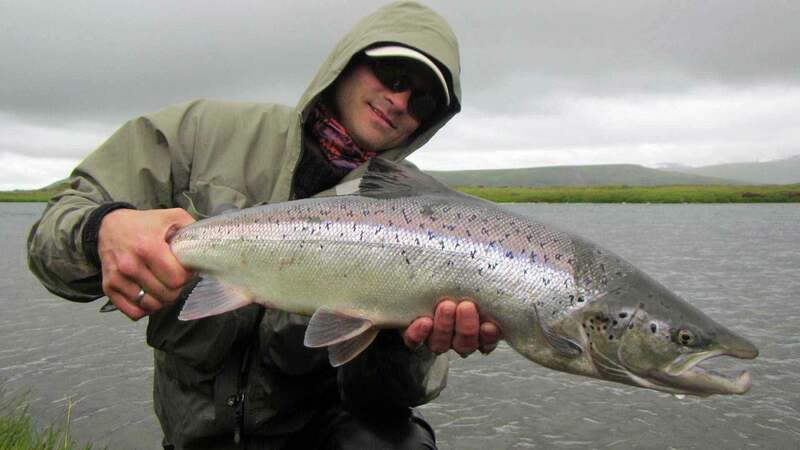 From mid-July onward, you can be sure to find salmon in every pool and the salmon fishing can be excellent. The river is well known for its huge salmon, weighing up to and over thirty pounds. Fly fishing only. All fishing is catch-and-release. Barbless hooks. The one-mile long beat is a 10-minute drive from the Lodge. Dry fly fishing can prove excellent in the shallow sections of the river. You'll target brown trout and Atlantic salmon. Salmon fishing is good between the two islands at the mouth of Eyvindarlækur. The Syðra-Fjall season is June 10 through September 10. The Big Laxá - Laxá means salmon in Icelandic. The Big Laxá is said to be the best brown trout river in Europe. The full-service lodge is a ten-minute walk from the Syðra-Fjall beat, and a ten-minute drive from the Árbót beat. All meals are enjoyed at the Lodge, with a three-hour break for the mid-day meal. You'll be guided up to 12 hours per day. Two anglers per English-speaking guide.